The 2012 Fiat Panda maintains the rich 31 year tradition of the vehicle, bringing in latest innovative features. Enhancement is offered by this third generation vehicle in overall aspects of comfort, space, technology, safety features and functionality. The vehicle has incorporated within itself the best qualities of its previous two generations. Its practicality as a city car is definitely going to create immense customer satisfaction. 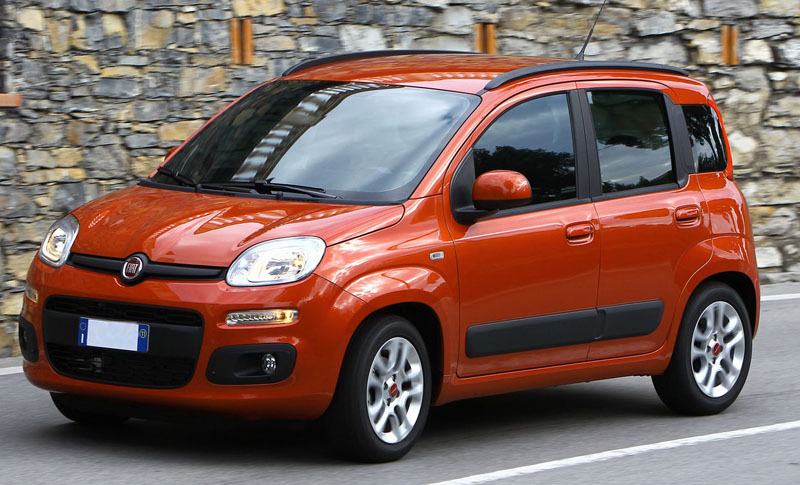 The 2012 Fiat Panda has also been given more contemporary looks, further enhancing its appeal. 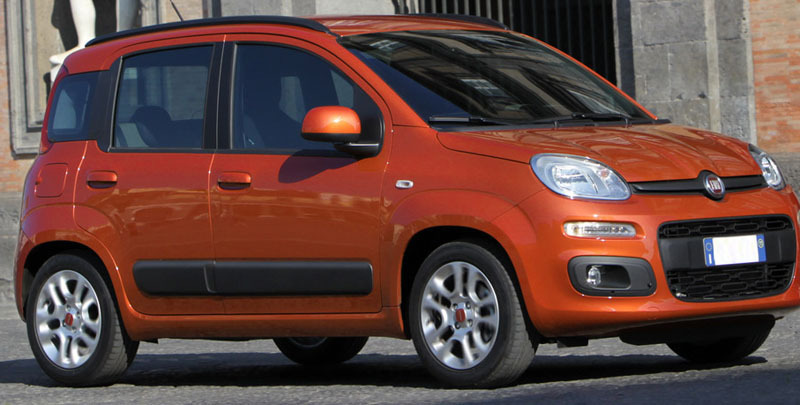 Its strong Italian styling heritage ensures that the 2012 Fiat Panda gets instant recognition on roads. The enhancement is depicted by its minutely convex bonnet along with its stylish horizontal grille and its latest rounded front headlamps. 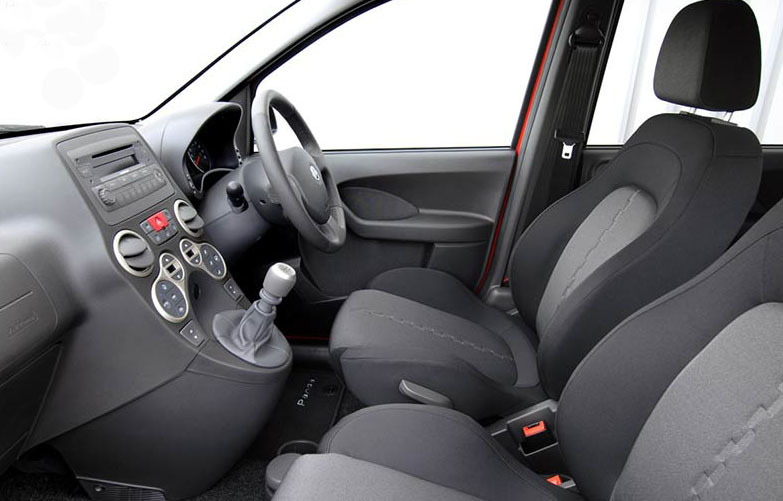 The best aspect of the 2012 Fiat Panda is the minute attention to all details that the manufacturer has put in. The result is that the usage of interior space is maximized. The car remains compact even with its slight increase in dimensions. The enhancement has been purely done to ensure the best standards of passenger safety along with spacious seating room. The five-door model now has 365cm length, 164cm width and stands at 155cm and comfortably accommodates five passengers. Impressive boot space of 225L is provided, which increases to as high as 870L when rear seats are folded down. Graphical patterns have also been added in its door panels and roof. The car has an inherent strength in the flexibility it offers and this is reflected by its latest dashboard, its numerous seat configurations as well as a multitude of storage options. 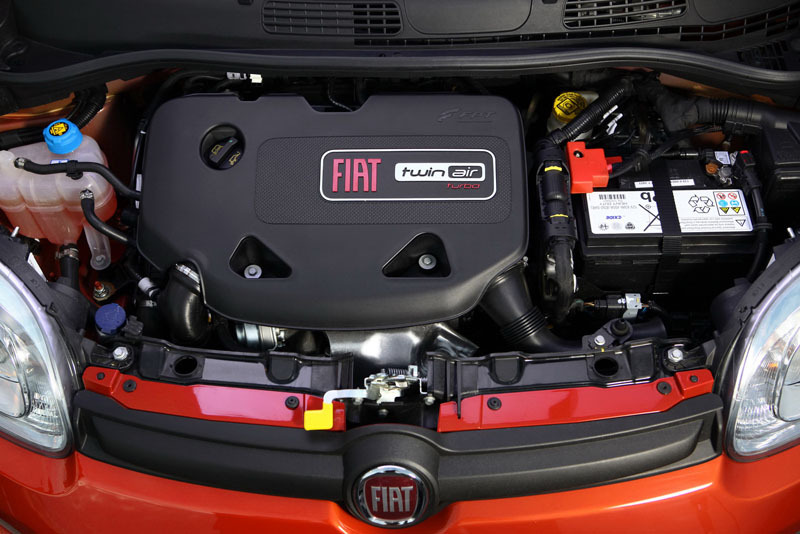 The 2012 Fiat Panda has been given latest two-cylinder engines with even its standard model being equipped with the Start and Stop system. Its 0.9 Twin Air Turbo engine that generates 85Hp has been internationally recognized as the best in 2011 whereas its 65Hp generating 0.9 Twin Air engine makes its debut. The list is completed by two other engines – 1.2 Fire Petrol generating 69Hp and 1.3 Multi-jet II generating 75Hp power. All the engines have been specifically designed to offer two vital services – increasing the fuel efficiency of the vehicles and lowering the carbon emission levels. Safety of its passengers has always received top priority whenever the car manufacturer has designed vehicles and the 2012 Fiat Panda is an excellent reflection of this quality. The body has been designed in lines with the latest safety requirements to enhance both the active and the passive safety contents for ensuring optimum performance. A lot of scientific research has been involved in designing the safety features and tests have been conducted for all possible collision types including front as well as side impacts, piling up, rolling over as well as colliding with pedestrians. Different speeds at which these accidents might occur have also been taken into the design considerations. The effects on different obstacle types as well as the varied physical characteristics of varied occupants have also been considered in the safety designing. This has given birth to the varied safety features including Anti-Brake Locking System combined with the Brake Assist System as well as device for electronically controlling the vehicle stability. The most innovative addition, however, is its latest system – the Low-Speed Collision Mitigation, which makes the car brake automatically once the driver becomes incapable of avoiding a collision. Thus, the 2012 Fiat Panda seems to be a safe car with all necessary elements including fun driving, spaciousness and interior comfort with its overall design also making a statement while driven on roads. The vehicle is bound to be high on the wish list of auto lovers.